In his third visit to Japan, Philippine President Rodrigo Duterte is set to be an honorary guest speaker at an event organized by a Japanese group. Duterte will attend the 25th International Conference on the Future of Asia in Tokyo, organized by Nikkei daily, which will be held on May 30 and 31. "We sent a letter from (President Rodrigo Duterte) to Nikkei, accepting the invitation," a diplomatic source told Kyodo News. 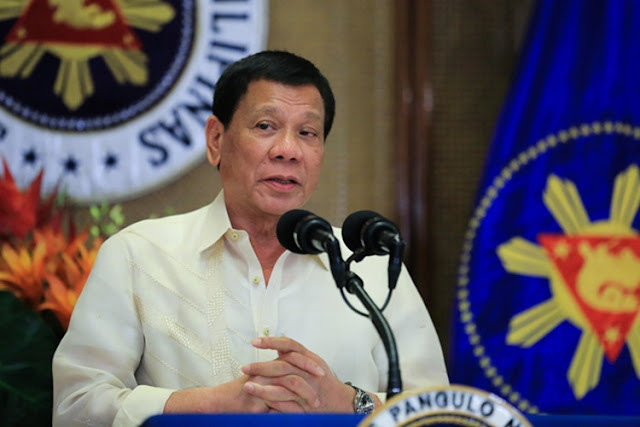 There are no exact dates yet of the trip, though, since organizers are still working on which day Duterte will speak at the conference, the source added. The event carries the theme, "In search of the new global order -- overcoming the chaos." It is not immediately known if the Philippine leader will also meet with Japanese Prime Minister Shinzo Abe. Duterte first traveled to Japan in October 2016 and went again in October 2017, meeting each time with Abe. In January 2017, Abe visited the Philippines and traveled all the way to Duterte's home province of Davao in Mindanao where he was welcomed into the Philippine leader's private residence. The two leaders have also met in third countries on the sidelines of regional meetings. Duterte had initially been scheduled to attend last year's Nikkei conference to give a speech.